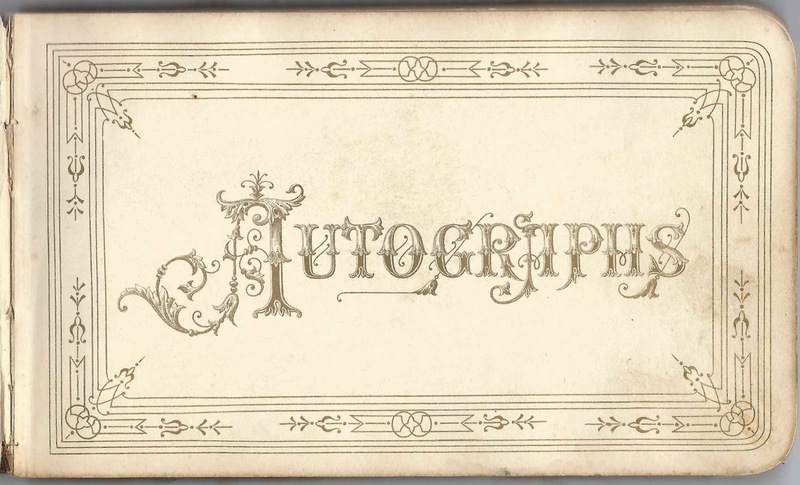 1880s autograph album of Lilla M. Chapman of Salem, Connecticut. Many of the autographs were signed at Ashaway, Rhode Island. Lilla may have attended school there or vacationed there. 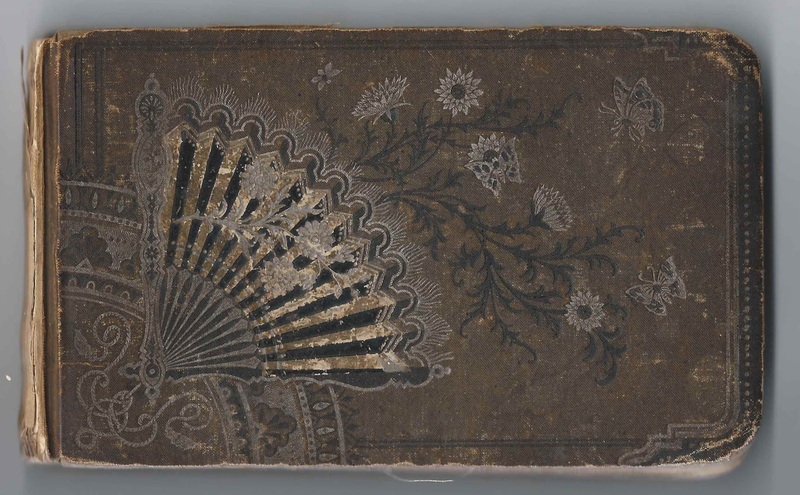 The album is approximately 7" x 4" and contains the sentiments of over 70 of Lilla's relatives and friends. An alphabetical list of the signers appears at the end of this post. Lilla M. Chapman was born about May 1867 in Connecticut, the daughter of Benjamin Franklin Chapman and Mary Elizabeth (Gates) Chapman. 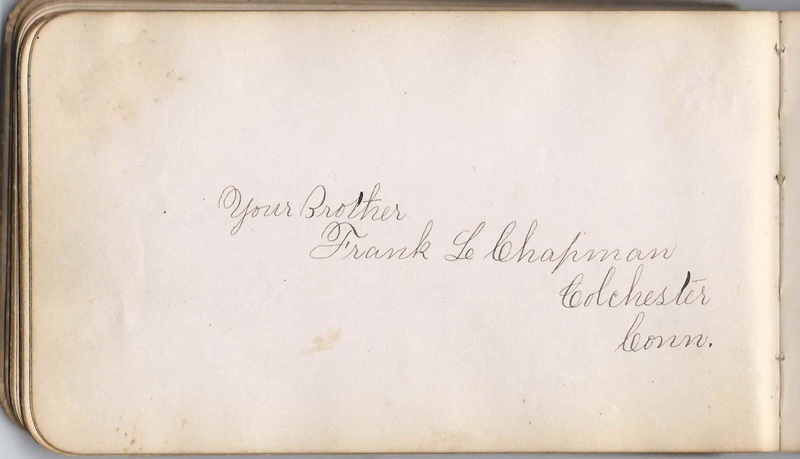 At least one of Lilla's siblings, Frank L. Chapman of Colchester, Connecticut, signed a page in her album. 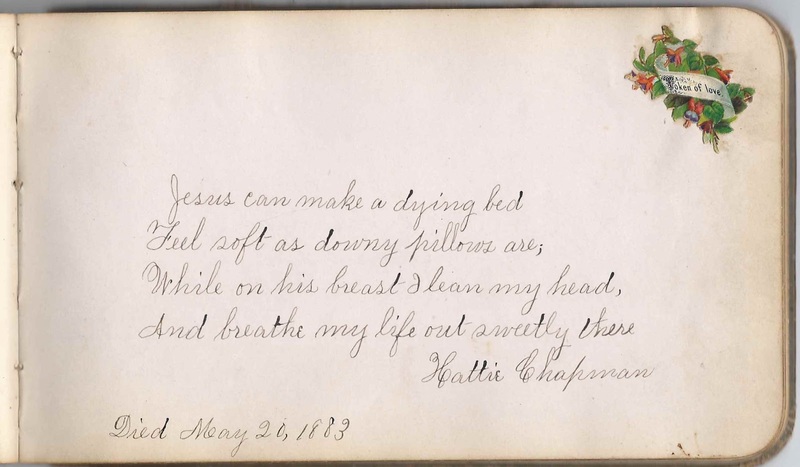 Hattie Chapman signed the page right after the page signed by Lilla's brother, Frank. Sadly, someone, presumably Lilla, added a note: "Died May 20, 1883". Was Hattie another sister, or a first wife of Frank or someone else? 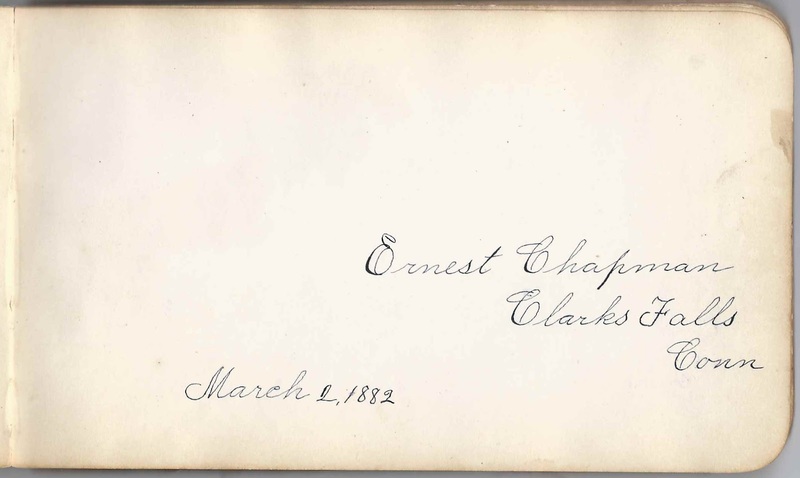 Another Chapman who signed was Ernest Chapman of Clarks Falls, Connecticut, who signed his page on March 2, 1882. At some point after the enumeration of the 1880, Lilla married a Mr. Hall. By 1900, she was a widow. On 30 October 1907 at Norwich, Massachusetts, Lilla married William H. Sweet, son of Gardner W. and Olive (Harvey) Sweet. William was born about January 1872. He and Lilla lived at Norwich, Connecticut at least through the time of the 1930 Census. Lilla died in 1932. "A Friend Buttercup", signed on May 20, 1882; possibly R. J.
G. S. Browning of Ashaway, Rhode Island, signed on January 16, 1882; H.G.S. Frank L. Chapman of Colchester, Connecticut; "your Brother"
Hattie Chapman Later note: "Died May 20, 1883"
E. W. Clarke of Clarkes Falls, Connecticut, signed on February 28, 1882 at H.G.S. A. J. Crandall of Ashaway, Rhode Island, signed on March 13, 1882; G.M.A.C.